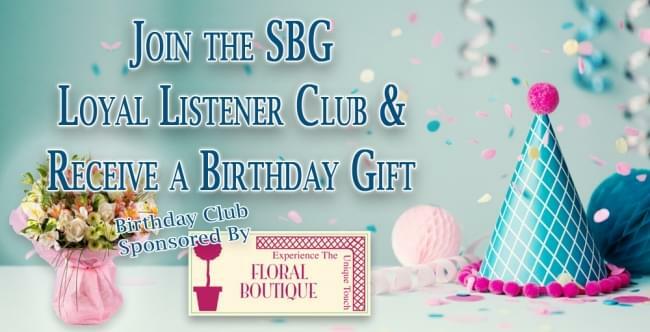 Become a Member of the SBG Loyal Listener Club and you’ll receive a gift on your birthday from the SBG Birthday Club sponsored by Floral Boutique of Stroudsburg. On your birthday you’ll receive a coupon good for Carry Out Bouquet with some of the best seasonal favorites! Join the SBG Loyal Listener Club. Sign up for station newsletters, play games, enter contests and more.